Ce roman fut publié en anglais en 1901 sous le nom d’Alexandre Dumas.  La traduction du français était signée de Henry L. Williams, auteur également de la brève préface. Le lecteur américain ou britannique pouvait s’y laisser prendre: ce Williams était effectivement un traducteur attitré des romans de Dumas. En fait, après avoir publié de nombreuses traductions du maître, Williams a entrepris d’écrire lui-même des romans sous le nom de Dumas, en se faisant passer pour un simple traducteur. Il a ainsi publié différents romans inspirés par des pièces de théâtre de Dumas, comme The regal box adapté de Kean, All for a crown adapté de Catherine Howard ou The tower of Nesle adapté de La tour de Nesle, ainsi que des suites aux aventures des mousquetaires. 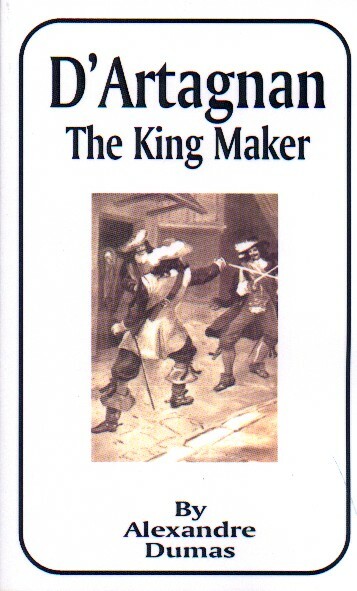 Selon la bibliographie établie par Aksel J. Nielsen en 1964, ces dernières comprendraient, outre D’Artagnan, the king maker, D’Artagnan’s exploits, D’Artagnan forward (en fait une adaptation de la pièce La jeunesse de Louis XIV) et To the rescue. D’Artagnan, the king maker voit notre héros envoyé en mission secrète par Richelieu au Portugal. A l’époque, ce pays a été annexé par l’Espagne, et il s’agit d’étudier les possibilités d’aider les Portugais à retrouver leur indépendance, histoire d’affaiblir l’Espagne. D’Artagnan, qui se fait passer pour le chevalier de Gannarta (son anagramme), décide de soutenir le prétendant au trône, le duc de Bragance. Il se lie à Pedro, chef occulte des Frères de la Côte, des pirates prêts à se battre contre les Espagnols. D’Artagnan est rejoint par Porthos, envoyé par Richelieu pour l’aider. Son zèle pour les Bragance est d’autant plus vif qu’il tombe amoureux de Jacinta, dame de compagnie de la duchesse, qu’il finira par épouser à la fin du roman. La première partie du livre se déroule sur un coin de côte sauvage, où d’Artagnan, Porthos, Pedro et les Bragance se retrouvent au milieu de scènes de tempête et de batailles navales. L’action se déplace ensuite à Lisbonne. D’Artagnan et Porthos s’y introduisent dans la maison d’un chef du parti espagnol, qui n’est autre que le frère de Jacinta, en se faisant passer pour des alliés. Ils participent à l’insurrection et d’Artagnan déjoue un complot contre la vie du duc de Bragance en se faisant passer pour ce dernier. Le livre s’achève sur le couronnement du nouveau roi du Portugal. "Now, may all the fiends!" broke out Porthos, looking black at this hindrance to his dining at his friend's inn. "Do not waste breath in oaths, but let us deliberate." "Agreeable, but it would be more so in your cellar!" Once ensconced in the rocks, they continued their observation while discussing. "What the pest are sentries posted at my tavern for?" grumbled Pedro Bitts' successor. "I left nothing but a fat negress to guard the pots and pans." "Spain is a kind of enchantment," Porthos remarked, chewing his drooping mustache, in default of more substantial nourishment, as a horse champs the bit. "Only, it is not two or three strapping varlets who are going to keep a hungry and a tired traveler from an inn, particularly when it is a friend's…"
So saying, he drew his long and heavy sword, a little glued in the scabbard by the salt water, which, through all, he had kept with that tenacity distinguishing soldiers when hand-to-hand encounters were common. "I and Balizarde will have a word to say on that head—I mean, on those pikemen’s heads!" He tapped the hilt familiarly. "Stop, stop, friend Porthos! Your precipitancy always ruins things !" Du Vallon turned to stone at being blamed for headlong ardor. "Even matrimony has not tamed your impetuosity, Hotspur that you are!" "Oh, I am a Hotspur, now!" "If only my black stewardess would come out for a stroll, or to gossip with the fishwives, or some of them- what do I see!" "The enchantment continues," murmured the other; "the cave becomes a grotto, and the negress a necromancer—at least, that is a fair and young princess!" "My patron, king, and St. Louis!" ejaculated D'Artagnan, his gaze riveted on the figure enframed in the inncave's entrance; "what is she doing here ?" "Do you know the princess? but is my vision double? I see two of them, and both beauteous!" "My friend, I cannot think that both those dames were wafted hither by the storm as they would not come from seaward—but, certainly you see incredible as it be, her highness, Luisa, Duchess of Braganza!" "It’s a queenlike form !" "And that other, her alter ego "
"An altar angel! I understand your Latin now!" "Her confidante, her camerista, as they say here! the Lady of Floriador!" "But the Princess of Braganza is a leading lady at the Spanish Court—at the Escurial—her husband is a kind of vice-king to the shadowy Philip !" "Precisely so. But what brings her to my inn, in this out-of-way place ?—it must be Providence !" Thinking of what Richelieu had said about Providence, a new idea struck him. "Is this the envoy I was to meet? Pooh! she cannot bring money! poor as proud! Rather, the plotting duke needs more than they scrape together if he schemes to—Porthos, I begin to believe that when one is plucked from the deep, it is to be firmly placed on the highland! Fortune goes by- "
"Fever! you are in for a fit! how flushed you are, and you tremble !" "Goes by extremes, I was going to say." The seamen stood aloof, ashamed and puzzled at two swordsmen letting a couple of footmen daunt them and stay them from a reveling-house. "My lads, compose yourselves for a space. I promise you a skinful of wine, and bread and meat to ballast it. So, for your comrades! In the meantime, as I want to know the ground for operation, tell me your story, Porthos." "Luckily, it is a brief one," said the other Frenchman, buckling his belt a hole or two tighter and heaving a cavernous sigh, while fixing his eyes on the inn-mouth, "for I can never tell a long one without wetting the whistle. To begin with, I was in tedium, on one of my estates—"
"One of them? Happy dog!"